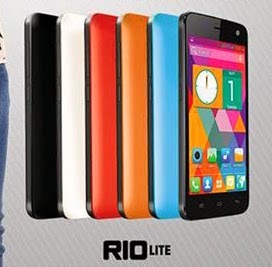 The local mobile leading brand announced its little brother of the Myphone Agua Rio. 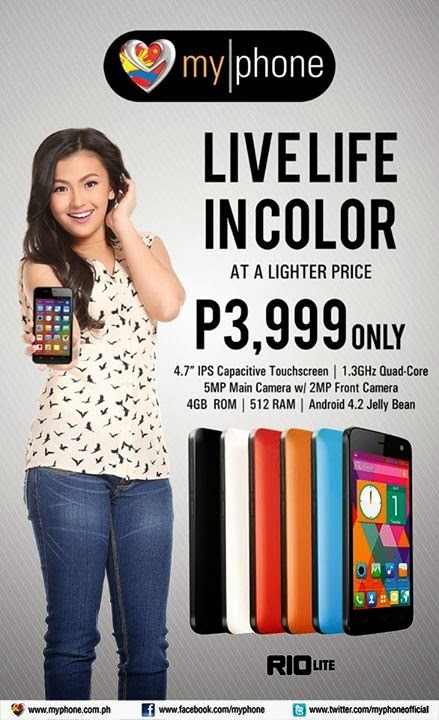 It packs with lighter specs but it has the same quad-core processor inside, the MyPhone Rio Lite. Sports a 4.7 inch IPS display, the MyPhone Rio Lite is powered by 1.3 GHz Quad Core processor with 512 MB of RAM, and has 4 GB internal storage that can expand up to 32GB via microSD slot. It also features a 5 MegaPixel autofocus camera with LED flash, 2 MegaPixel front camera, WiFi, Bluetooth and 3G HSPA+ connectivity support, Dual SIM Dual Standby capability, and a removable 2,000 mAh Li-Ion battery pack. What do you think about this new smartphone of MyPhone?